Coffee is individual in taste and preference. Among coffee connoisseurs, the way a coffee is brewed makes a difference in the subtle undertones of a great cup of coffee. Consequently, if you're going to invest in a coffee maker, invest in one that shows up in multiple coffee maker ratings and reviews as the best of the best. Good coffee doesn't always require a fancy or expensive machine to brew it. These basic models work well and with a coarse-ground, gourmet blend, they will produce a quality cup of joe. 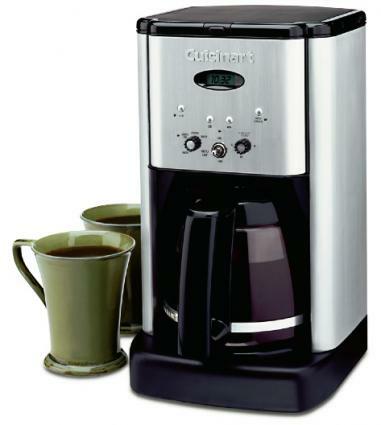 The Cuisinart Brew Central offers many features to make a great cup of coffee. This high-end auto-drip coffee maker has a timer, a pause-and-serve function that allows you to pause the brewing to serve yourself a cup of coffee before the entire pot is finished and a small cup setting so you can brew just one or two cups instead of the full twelve cups. It generally retails for about $90 but comes with a three-year warranty which is unusual for coffee makers. 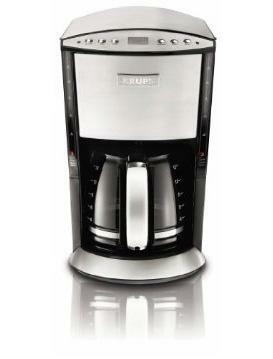 The Cuisinart Brew Central gets high ratings from CoffeeGeek, as well as from users. While Mr. Coffee doesn't always have the best reputation among coffee connoisseurs, this basic coffee maker seems to have enough chops to keep even pickier coffee lovers happy. If you're looking for something relatively inexpensive (this model retails for about $40), without a lot of bells and whistles, the Mr. Coffee DRX23 is a great option. It has no timer or warmer, but does offer pause-and-serve and keeps your coffee piping hot for up to one hour. The Mr. Coffee DRX23 gets consistent ratings from Coffee Maker Review, as well as from consumers. 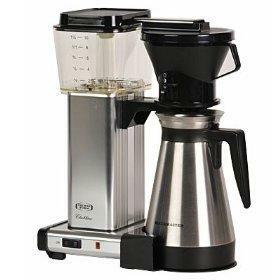 Krups Programmable coffee maker offers a number of basic features that help enhance your coffee making regimen. A water-level indicator helps you gauge the amount of water being added, while a strength setting allows you to get the maximum amount of flavor out of each pot brewed. The machine uses paper filters and a glass carafe. It typically retails for around $100, putting it on the higher end of more basic models, but reviews by TopTenReviews give it high enough ratings to warrant the expense. Connoisseur coffee makers are for those who really know their coffee well and demand the absolute finest in brewing. Thermal coffee makers are those that empty into a thermal carafe in lieu of a glass coffee pot. The advantage to this type is the coffee stays warm for longer without being left on a warming plate to scorch. The Zojirushi, which retails for around $100, is a great option for those who like to revisit their coffee pot for warm coffee all morning. The reviewer from Daily Shot of Coffee didn't "just like" this coffee maker, he "loved" it. One look at the Technivorm Moccamaster and it is immediately apparent that this machine is for the most serious of coffee aficionados. At a price tag of around $270, you can expect the Moccamaster to perform like no other. What makes it so special? It is the only auto drip coffee maker that brews at the optimal brewing temperature of 200 degrees F. It features many of the nicer options such as a pause function, but coffee lovers love this machine simply because of the great coffee it brews. Amongst drip coffee makers, this machine is consistently rated highly by Cook's Illustrated. If you love the high, acidic notes in a good cup of coffee, you'll love the BUNN Trifecta Home model. The Trifecta uses air-infusion to help extract every flavor nuance from each cup of coffee, giving you a truly gourmet cup each and every time. This high-end coffee maker brews each cup at 200 degrees for optimum flavor, delivering a piping hot cup each time. The machine brews each cup of coffee individually to allow for the best flavor in each cup. The Trifecta is pricey at around $500, but ratings by Coffee Companion's Kevin Sinnott make it well worth the price. How much coffee will you want to make at one time? A single serving coffee maker will never do for someone who likes to entertain, but might be just the thing for a busy college student. What type of coffee do you like? Do you always have the same kind of auto drip coffee or do you ever want espresso? How much space do you have? Do you have enough counter space that your coffee maker can occupy a prominent place on the counter? What features are important to you? You can get away with a simple coffee maker rather easily if you're willing to forego things like a timer or warming function. However, if you know that you must have your freshly brewed coffee the second you get out of bed and into the kitchen, then a timer is a must have function. No matter what features interest you in a coffee maker, each of these machines is sure to brew you a great cup of java. Compare the ratings of each model for yourself and prepare to get the perfect cup of coffee.